California has been the epicenter of the American cannabusiness from the onset. Especially with cultivation, California marijuana jobs were enough of a reason for travelers and burnt out workers from around the country to make their way to the fertile lands of Humboldt County and surrounding locations to start their careers in the green rush. As the predominant source for countrywide cannabis production, California has also consistently been the leading state in terms of legal medical marijuana distribution. With the advent of more comprehensive, adult-use legalization measures, California marijuana jobs have expanded far beyond simply cultivation and sales — nearly every industry that can cash in on cannabis is providing some form of marijuana jobs. With that said, some jobs are uniquely popular to California’s rich, diverse geographic landscape and culture. In addition to being a hub for California marijuana jobs, the state is also home to the highest concentration of web developers in the country. Particularly in Silicon Valley and the bay area in general, developers and cannabis enthusiasts are coming together and successfully buoying both industries simultaneously. Websites like Leafly and apps like Weedmaps hold stock by closely connecting cannabis consumers with dispensaries, delivery services and other relevant cannabusinesses. As consumers become more connected to the online world, easy to use solutions for any cannabis-related issue are appearing at an exponential rate. Working as a web developer for the cannabis industry ensures you have a love of pot and the ability to code and/or design websites and apps. The web development sector holds the possibility of big personal payout, without having to hold a degree or come from a particular background. As long as you are confident in your skillset and know how to market your product, you can make a killing filling in any gaps in online consumer and business resources. Especially with incoming legislation allowing for recreational sales, business owners are hiring cannabis consultants to help make sure they are following all the rules and regulations necessary to establish and operate a business. Dispensaries, commercial edibles kitchens, extraction labs and grow operations all require maintaining strict compliance measures. Each facility undergoes inspection, making it imperative that owners and staff are keyed in on how to follow all the rules. Cannabis consultants usually come in the form of lawyers, business owners and accountants. Specialized cannabis consulting firms offer comprehensive packages that perform these three services, in addition to staff training and business development services. If you have a background in cannabis law, working as a consultant can prove to be one of the most kush California marijuana jobs, since qualified consultants are in high demand. The same goes for accountants – those who can confidently navigate the complicated tax structure and aren’t intimidated by the cash-only business can make big salaries of their own by helping companies record their earnings and file correctly. It may not be the only sector of the legal cannabusiness, but cultivation is still the foremost process toward the continued development of the industry. California marijuana jobs in cultivation can range from leading an operation as a grow master, maintaining a crop and recording data as a grow assistant, or trimming harvested cannabis flower as a trimmer. Regardless of your level of responsibility, every task associated with the growing process is integral to yielding a successful crop. Grow masters represent the most knowledgeable and experienced members of an operation, leader a team of assistants through the germination process, all the way up until harvest. Grow masters are tasked with developing a game plan for how they will grow, (soil hydroponic) and how to introduce the proper concentration of nutrients under the best possible growing conditions. To give an idea of just how much grow masters are responsible for, their tasks include germination, transplant, cloning, pruning, protecting against pests and diseases, flushing, harvested and curing, among other responsibilities. Grow masters receive the most compensation, but they are also held to a higher standard than every other employee as they risk their reputation with every grow cycle. Grow masters are goal oriented individuals dead set on producing the best tasting, smoothest and perfectly concentrated flower possible. Assistant growers perform many of the same responsibilities as grow masters, however they are not in charge of formulating the design of the operation. For the most part, master growers dictate whatever it is that requires attention and the assistant in turn does their best to fill this request. It’s incredibly important that both the master grower (supervisor) and grow assist (subordinate) are eager to cooperate and work as a team. Even in the case of seasoned cultivators, huge grow operations simply cannot be maintained solely by the grow leader. Though not always considered cultivation jobs, marijuana trimmers are pivotal in taking untrimmed buds and turning them into manicured masterpieces. Trimmers are armed with gloves to protect their hands from sticky resin and a pair of sharp scissors to snip away excess plant matter from trichome filled flowers. While larger fan leaves and smaller, dusted sugar leaves do contain some THC and other compounds; the concentrations are much lower than on the flowers. This is why trimmers optimize the smoking experience by keeping the good stuff and leaving the trim for making edibles. Poorly trimmed bud can produce harsher smoked based on excess chlorophyll – which will also affect the overall flavor. Legal pot shops might not be unique to California, but as recreational legalization takes hold, the state will likely hold the highest number of dispensaries in a single state, given the number of populous cities and municipalities. Dispensary operations vary slightly depending on if the store is intended for medical patients or recreational customers; however, the goal of every dispensary is the same: to provide customers with the right products to suit their desires or medical needs. Budtenders are the main dispensary employees responsible for guiding customers through the process of understanding the inventory, selecting a product and then purchasing it. Other important dispensary staff include receptionists, managers, security guards and of course, the owner/owners. Receptionists help facilitate the process of getting customers check in by processing their identification and entering it into online databases. Receptionists use their skills in customer service and administration to keep daily operations running without a hitch. Security guards aren’t employed in every dispensary, but some choose caution first in order to prevent internal and external theft. While advocates are trying their best to give the cannabusiness a less illegal “aesthetic”, sometimes guards are necessary where the threat of crime is high. Dispensary managers are the main people in charge on a daily basis. Although some dispensary owners take on an active role in their business, most delegate a fair share of the responsibility to marijuana dispensary manager jobs. These employees are tasked with interviewing, hiring and scheduling employees, as well as keeping up to date with all business partnerships and accounts. Additionally, managers are responsible for ordering and taking inventory, dealing with customer and employee concerns, as well as filling in wherever the owner sees fit. As you can see, California marijuana jobs in dispensary management aren’t necessarily relaxing, despite being part of the cannabis industry. Dispensary owners run the show. The duties of each owner vary on the setup of the dispensary, staffing requirements and owner’s preference – but at the end of the day, owners are responsible for the success or failure of their business. Commensurate with the proliferation of more cannabis dispensaries, a greater number of California marijuana jobs in concentrate and edibles creation will appear in order to fill demand for flower alternatives. Concentrates are created by extracting cannabinoids like THC and CBD, terpenoids, (terpenes) and other compounds from cannabis plant matter. The process is carried out with cannabis extraction technician jobs where industrial solvents, heat and pressure are used to separate unnecessary plant elements like chlorophyll from the good stuff. Concentrates are highly potent and can be used for smoking, vaping and edibles infusion. The act of smoking concentrates is commonly referred to as “dabbing” and is used by medical patients looking for sustained effects, as well as rec customers chasing a more intense high. Like concentrates, edibles are popular among cannabis consumers from diverse backgrounds. The new wave of legal edibles has displayed a dramatic shift from mediocre brownies made with cannabutter to professional quality consumables infused with discreet tasting concentrates. There are a number of reasons why edibles chefs choose concentrates over cannabutter, including more accurate dosing and a less prominent plant taste. Edibles chefs and cooks are professional kitchen staff who have experience working in a professional production kitchen. Since regulations keep chefs from tasting their final product, they must have a trustworthy palate that promises blind consistency. Just like several other states that have recently passed weed laws, California marijuana jobs are set to undergo a lot of development. 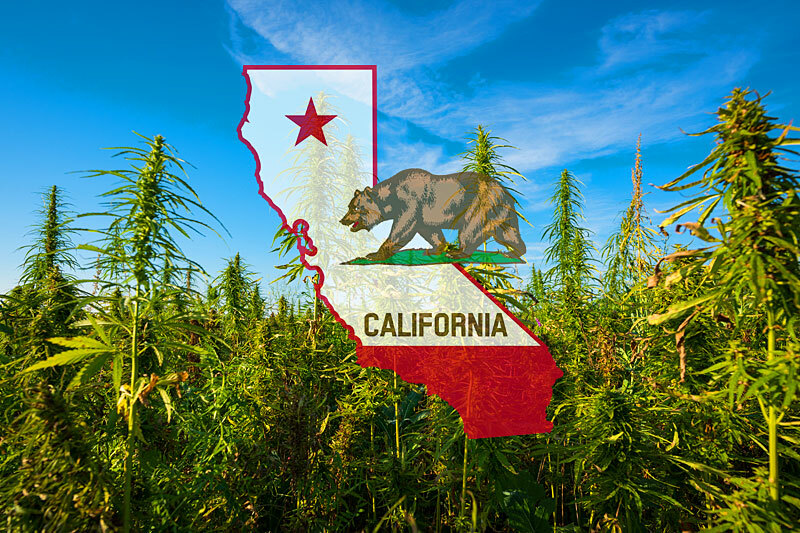 While the recreational industry won’t truly begin until regulations are solidified, (which likely won’t be until 2018) a lot of the groundwork is being laid to position California as the reigning queen of the legal cannabis industry. Associated industries like tourism will be bolstered alongside other hospitality and leisure centric businesses. As cannabis becomes more deeply woven into mainstream culture, even more industries are likely to buy in in hopes of turning a profit. The industry does still face frustrating hurdles in the form of federal mandates discouraging banks for letting dispensaries open accounts, as well as the outrageous classification of marijuana as a Schedule 1 substance. By definition, this denotes that marijuana has no positive medical potential and is more dangerous than cocaine. Despite lingering stigma and convoluted regulations, the cannabusiness is sure to succeed. With each passing year, more cannabis lovers are joining the bandwagon, fighting for fair laws and reasonable prices.